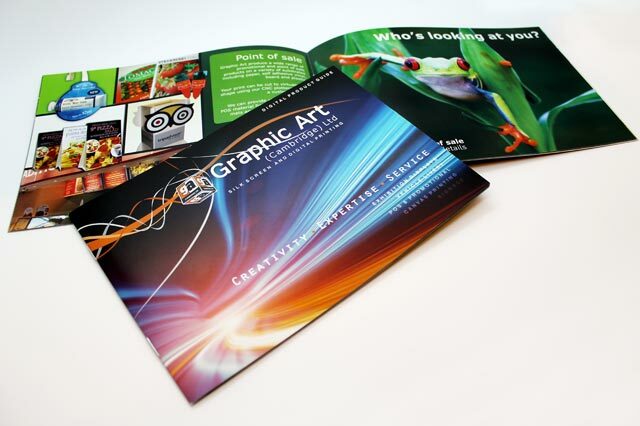 Professional quality printed media is available in up to virtually any size and in a plethora of versatile materials. 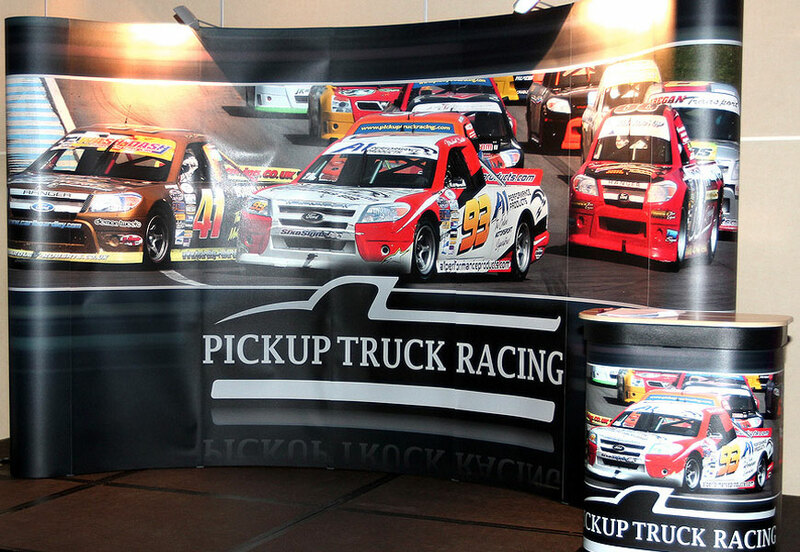 If you have something you want to get noticed our large format printing options are for you. 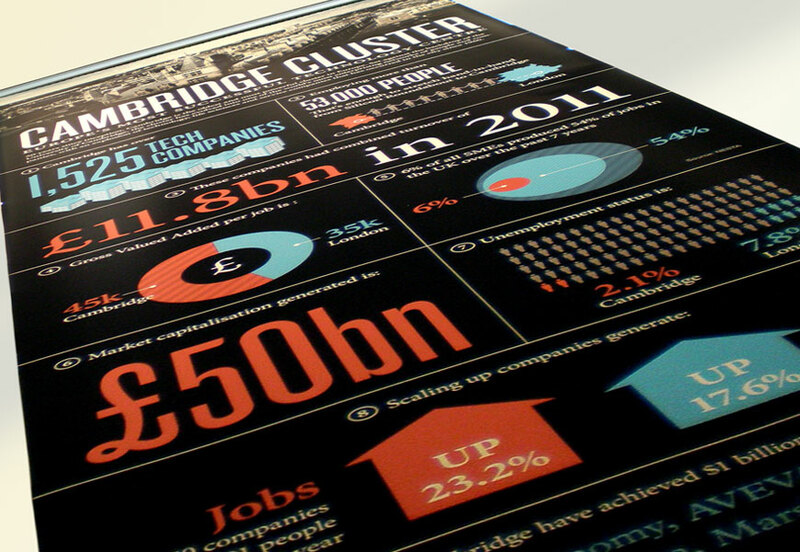 Suited for an almost unlimited number of applications Graphic Art (Cambridge) Ltd can provide high quality large scale print for both interior and exterior use. 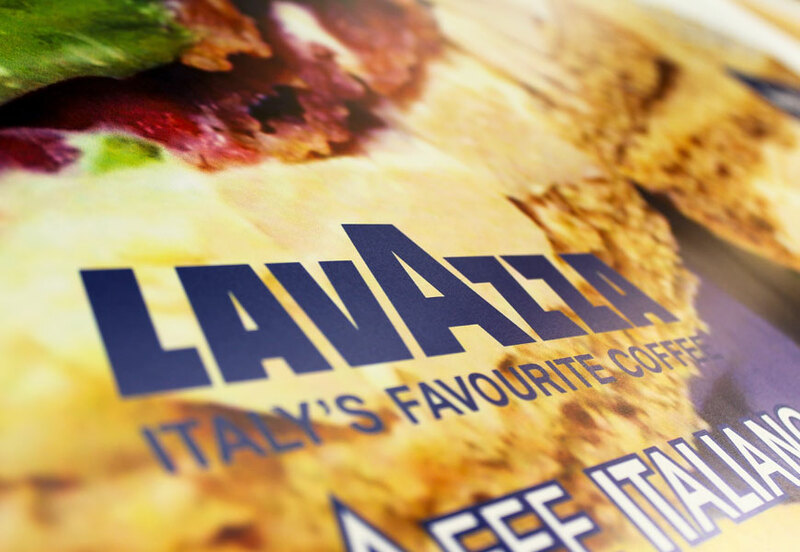 Ideal for promotional, event branding, fundraising and point of sale applications our large format digital printing press uses UV stable eco-solvent inks ensuring lasting vivid prints even when exposed to full sunlight. Eco solvent inks suitable for external use. Prints available up to 5ft wide by virtually any length. Quick turn around 'one off' prints. 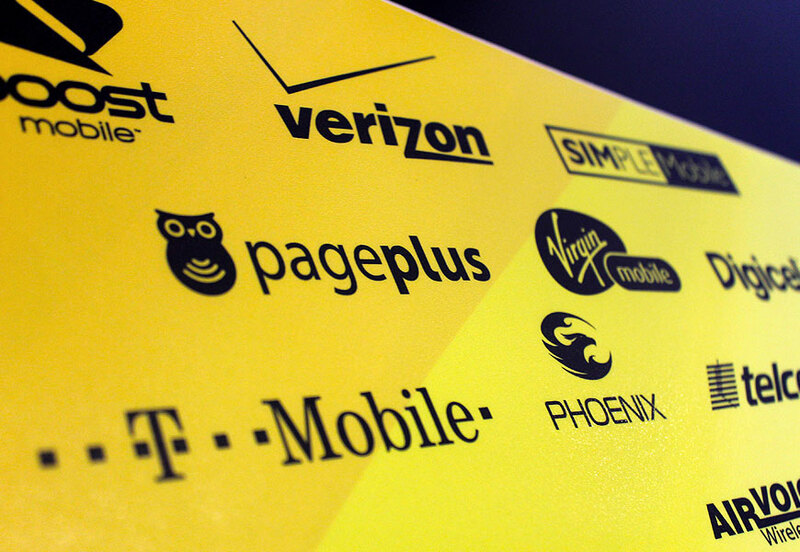 Backlit point of sale prints. 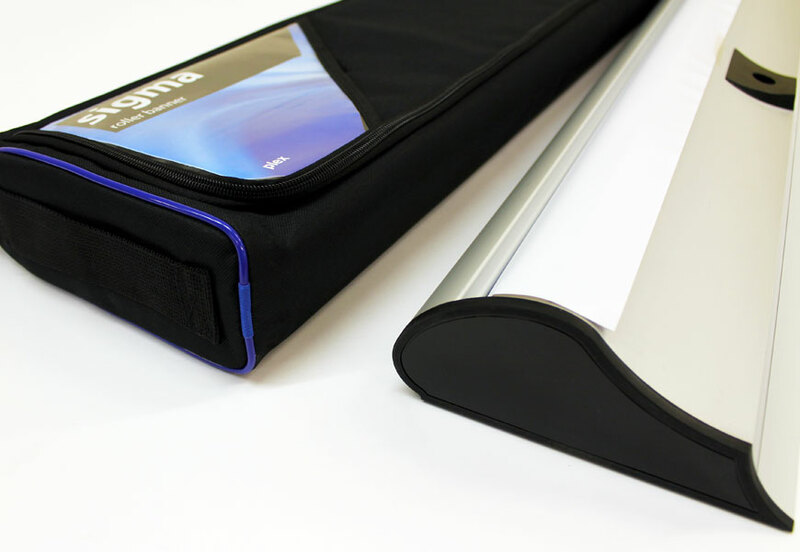 All Pop-up Exhibition Banner Cassettes are supplied with a Protective Carry Case as standard. Each of our models feature a telescopic pole stand for easy erection and height adjust-ability. Smaller variations for use on desks and raised surfaces can also be ordered on request. 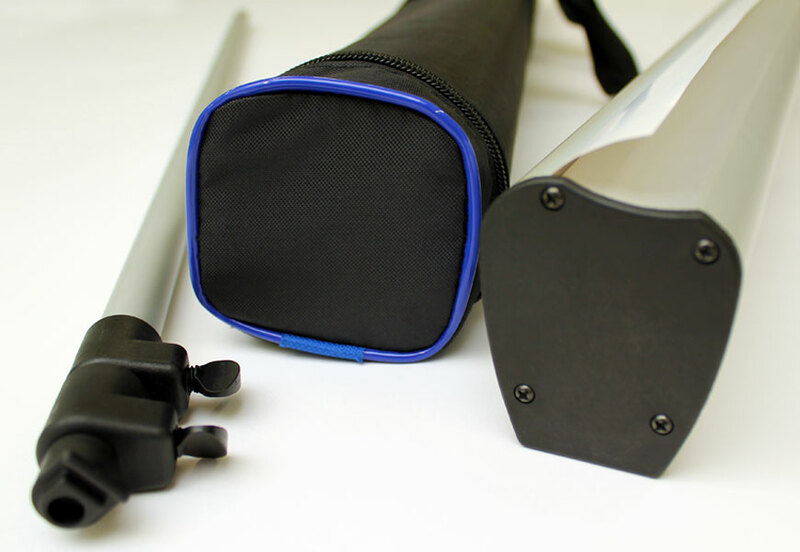 Our exhibition frame stands all come bundled with a complete hanging kit including magnetics, 2 x 150W flood lights and power leads packaged in a durable wheeled case with Beech folding top and separate magnetic graphic wrap. Stands are available in 3×2, 3×3 and 3×4 configurations, each with a visible height of 2130mm. 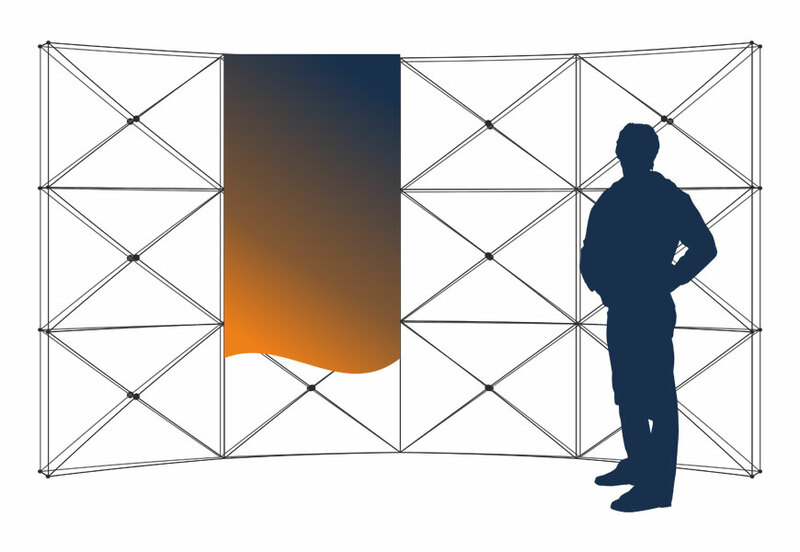 Additional hanging kits and graphics can also be supplied to dress the rear of the stand on request, providing a complete 360 degree viewing platform. 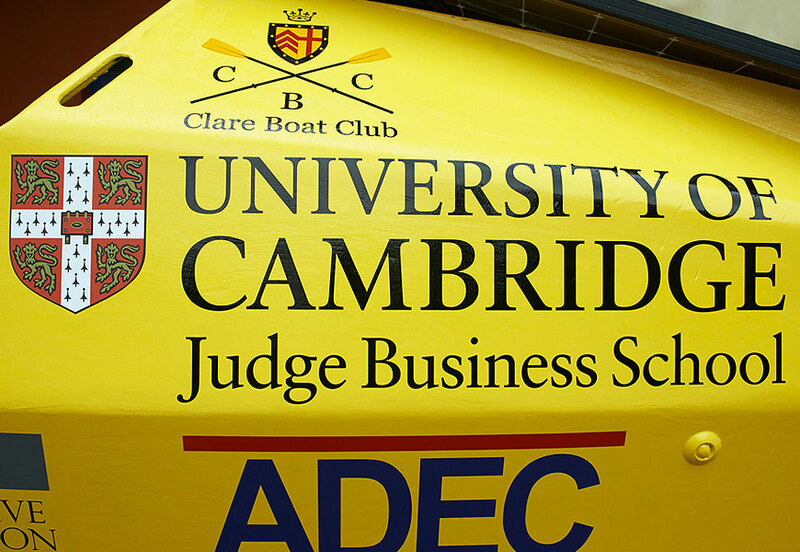 Graphic Art (Cambridge) Ltd provide cost effective signage for almost any purpose boosting brand awareness and driving sales. We can ensure that your corporate identity is matched throughout each of your business locations and that promotional messages get noticed. 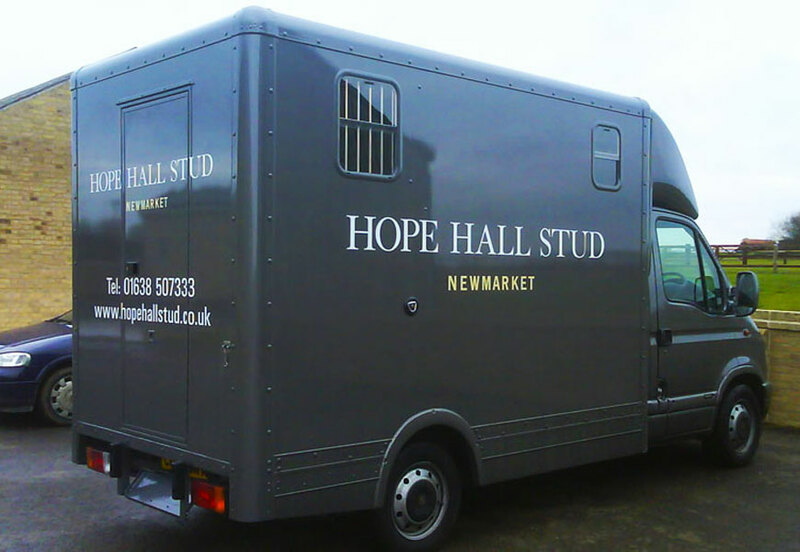 Offering a huge selection of signage options, our design and manufacture experts can supply signage for equipment, buildings, windows, products, vehicles and just about anywhere you wish to be seen. Wide choice of sizes and shapes available. 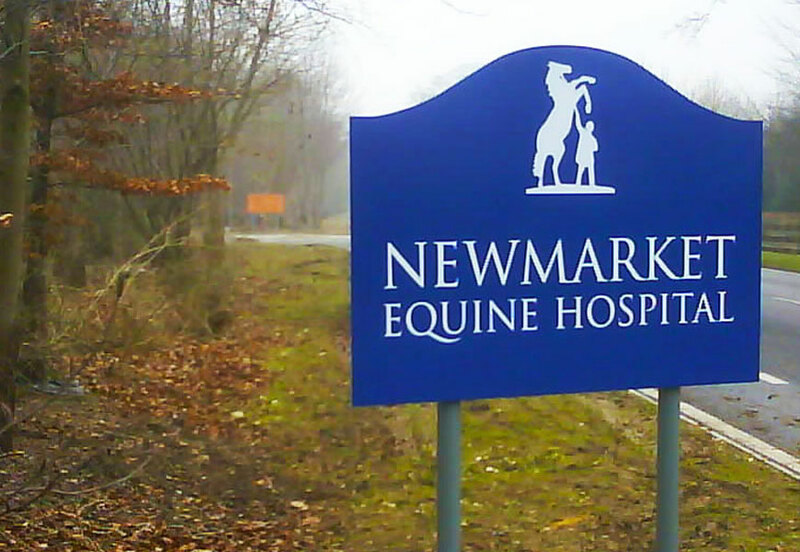 Stylish entrance and directional signage. 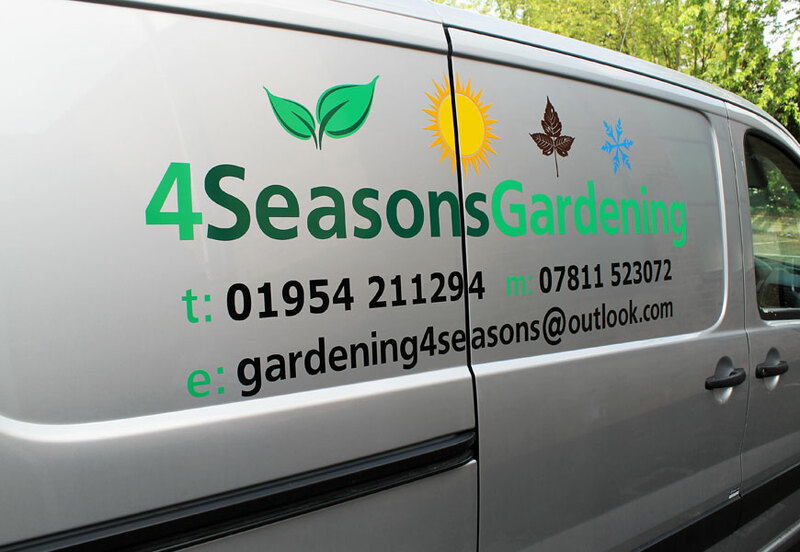 Signage or text applied to almost any vehicle. Intricate vinyl cut lettering & logo design. Posters are an established method to advertise your event or product, from point of sale applications to products for the domestic market. 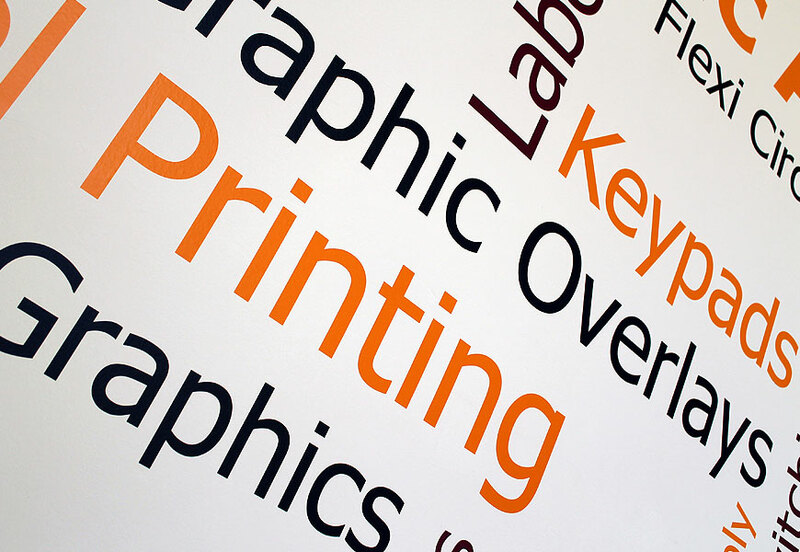 Graphic Art (Cambridge) Ltd can offer printed graphics on a wide range papers and materials such as self adhesive vinyls with a choice of gloss or matt finishes. We also stock backlit film and optical filtering materials perfect for use on menu panels or vehicle and window coverings. 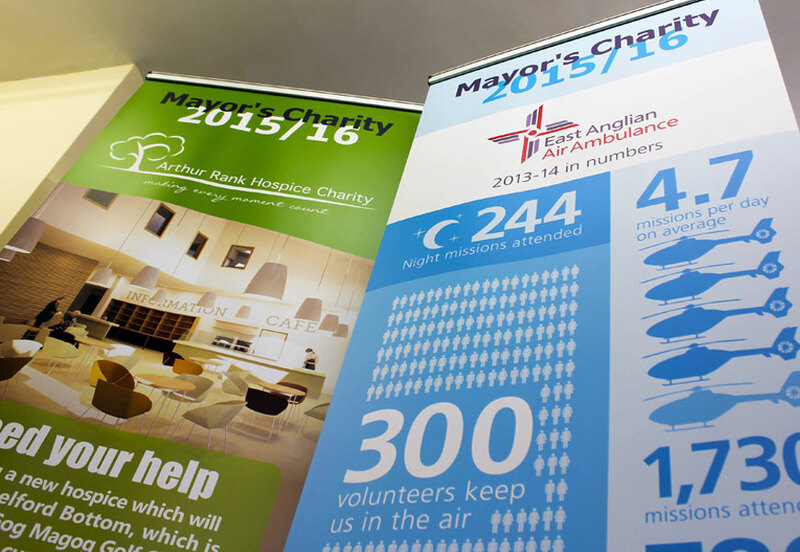 If you are attending or staging an event or exhibition our our printed banners and large format graphics are the perfect medium to garner interest and get noticed. 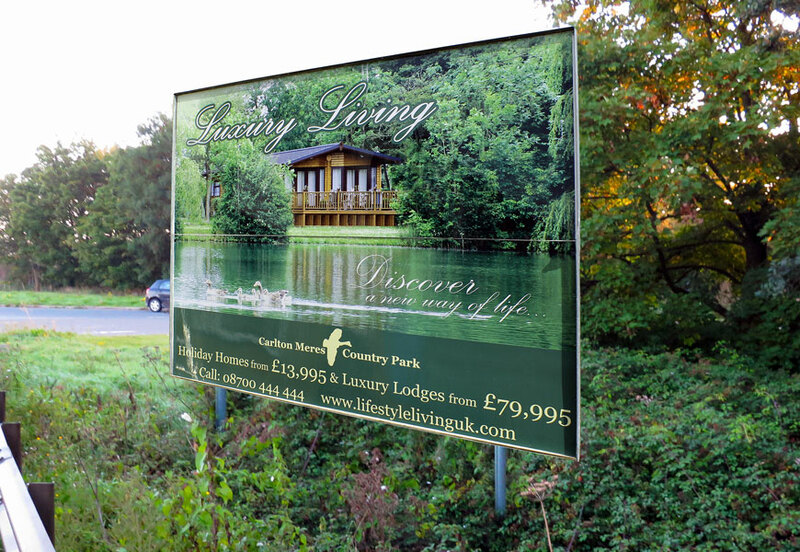 Available up to 1.6 metres in height by virtually any length, our full colour solvent banners can be printed onto a wide variety of media including hard wearing, high quality Banner Vinyl. Each banner is then hemmed and finished with taped edges and brass eyelets allowing you easy access anchor points to secure fixings. 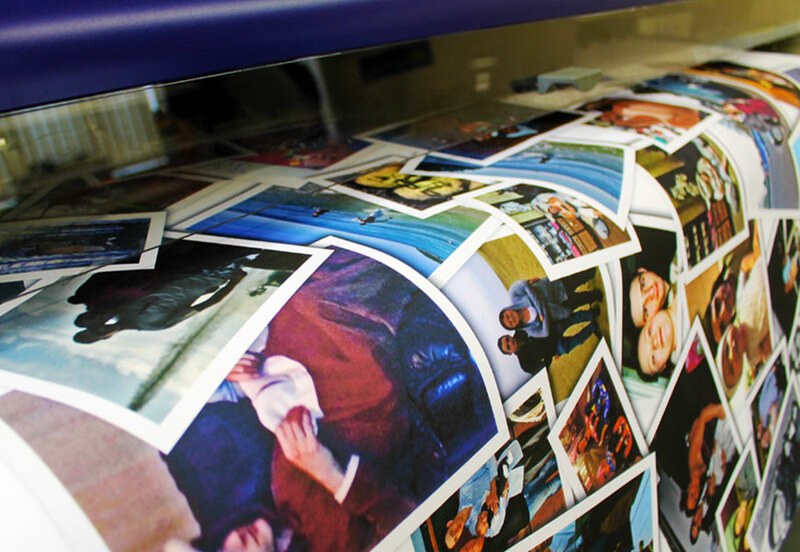 For more durable finishes Graphic Art (Cambridge) Ltd offer an in house over laminating and finishing service, through which we can offer plastic lamination up to 54inches wide, ideal for protecting prints for use outdoors or in more extreme environments. We also offer remarkable and ‘wipe clean’ surfaces meaning you can populate staff, educational or production areas with custom designed reusable ‘white board’ writing surfaces to aid in presentation and managerial applications. Not all print has to serve a specific purpose and our option of fine art printing epitomises this focusing on quality of print and material. If your home or work-space simply needs a revamp we can offer both the design services and range of print options to compliment your interior décor. 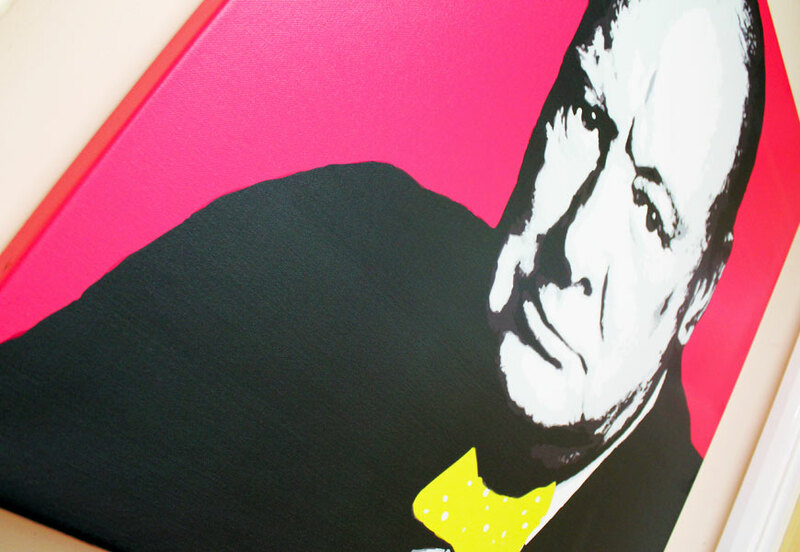 Graphic Art (Cambridge) Ltd stock a range of materials suited to this purpose such as fine art canvas or silk texture, wipe clean finishes which can be mounted onto board for a sleek professional look. Some projects are just too big for A4 or even A3 paper. Our ability to offer large scale technical drawings is ideally suited for large scale engineering and construction projects where multiple copies of blue prints, schematics or maps are required. In addition to this technical drawings can be provided on clear acetate giving you the freedom to overlay drawings or add plans to existing drawings without marking layers underneath. Whether for use at an event or simply to draw attention to your business premises flags are a great way ‘fly the flag’ for your business, event or promotion. 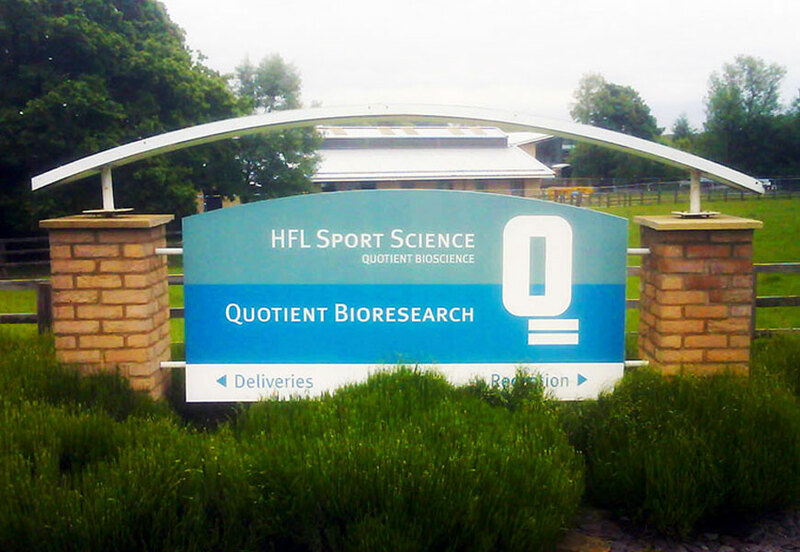 Available in a range of sizes and shapes flags can be free standing or fixed to mountings and buildings. Almost any colour and design can be accommodated and all the necessary fixings and mountings can be supplied to make installation as straightforward as possible. Ask us about our refurbishment service. 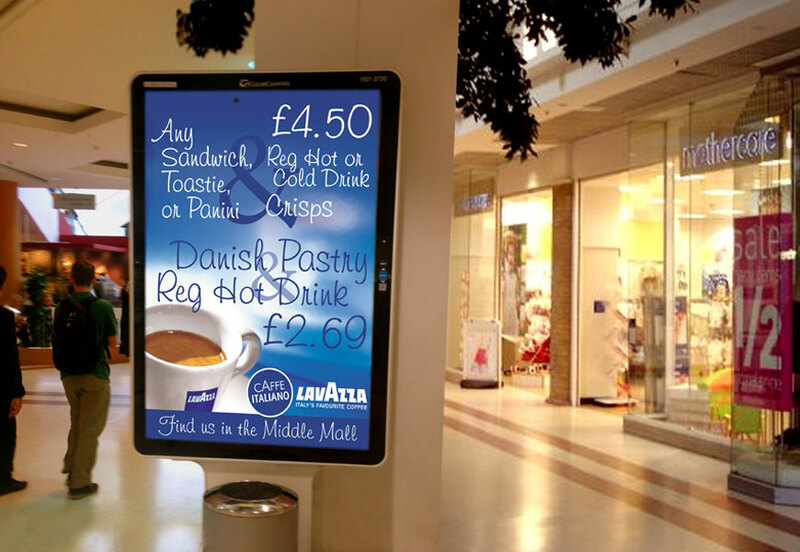 Having provided a good return on investment, your display graphics may now feature details which are out of date or may simply be looking a little tired. 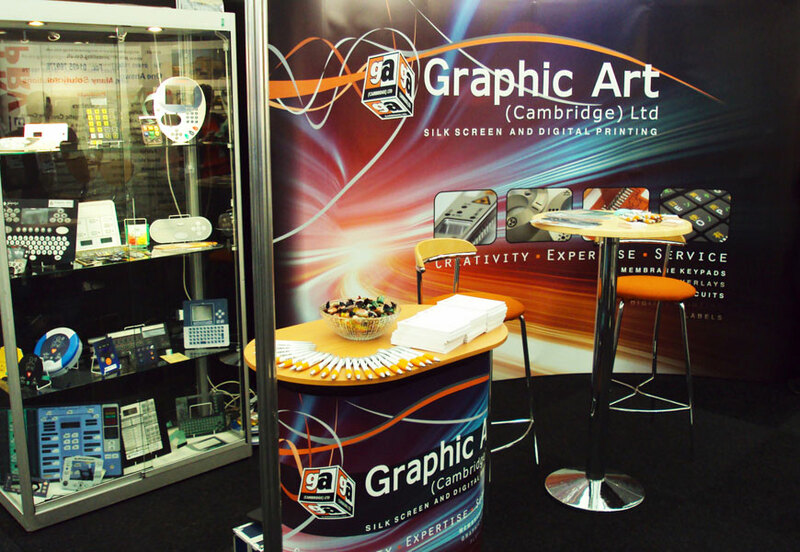 Graphic Art (Cambrdge) Ltd can design, print and retrofit replacement, updated or even brand new graphic panels to your existing display stands saving you the cost of purchasing the entire display system again. 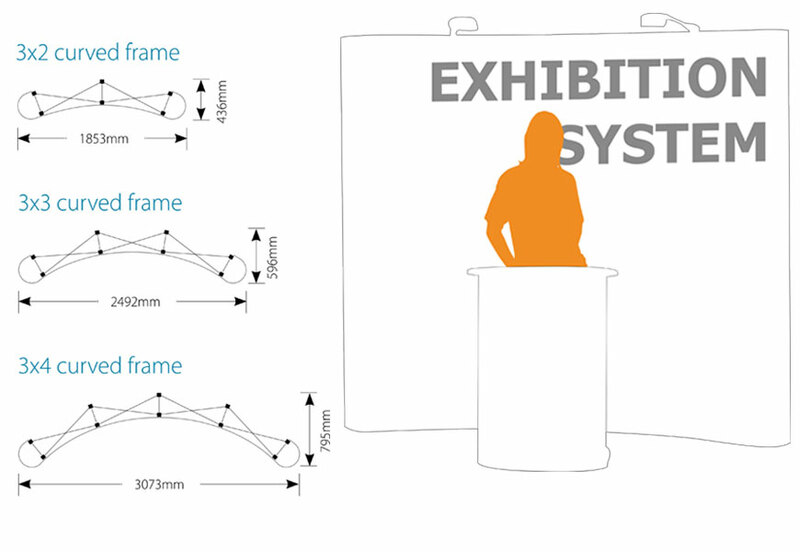 As long as your display system is still in working order we can work with you to supply bright new visuals to extend the life of your exhibition graphics even if you didn’t originally purchase them through us.